28–30 September, 2017, Kaunas, LITHUANIA. 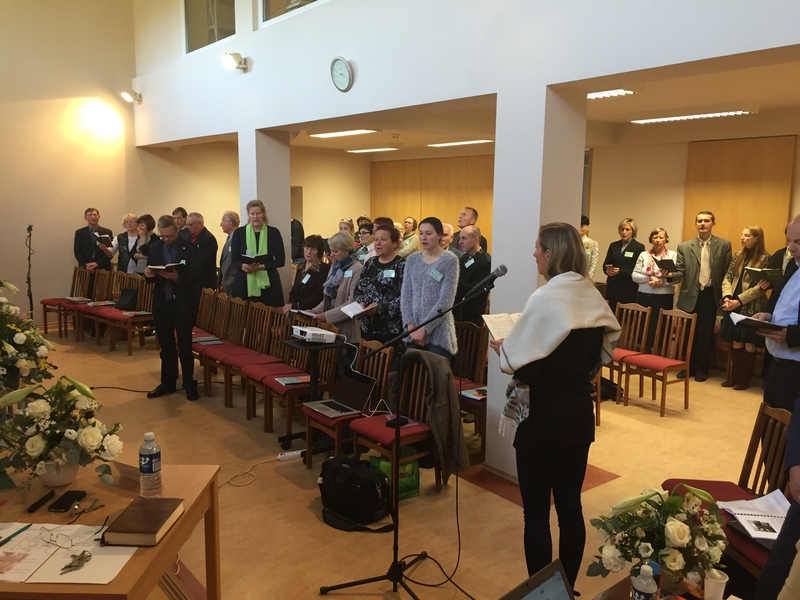 54 delegates from the 18 Adventist churches in Lithuania gathered to the Lithuanian Conference 8th constituency meeting. The theme of the constituency meeting was chosen from the book of Revelation 14:7 “Fear God and give glory to Him, for the hour of His judgment has come; and worship Him who made heaven and earth, the sea and springs of water.” This Bible text is very dear to all Adventist church members and is part of the Adventist Church mission statement. Opening the constituency meeting, Lithuanian Conference president Bertold Hibner expressed his thanks to the outgoing conference administration and the departmental leaders. After musical presentations both administration and the departmental directors presented their reports. All necessary committees were elected and started their work. 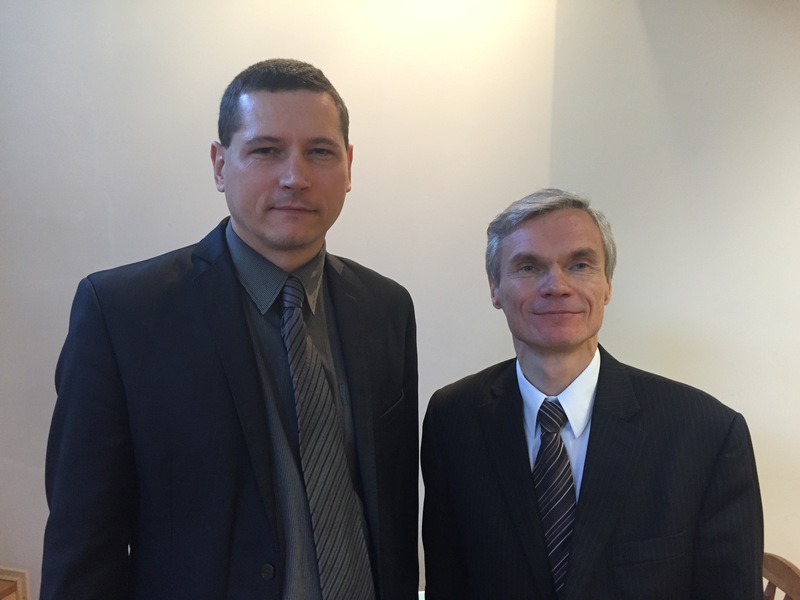 On the second day pastor Valius Eičinas was elected as the new conference president. Before his election V. Eičinas pastored in Vilnius and Širvintos churches. Valius Eičinas also will be the head of the Public Affairs and Religious Liberty department (PARL). 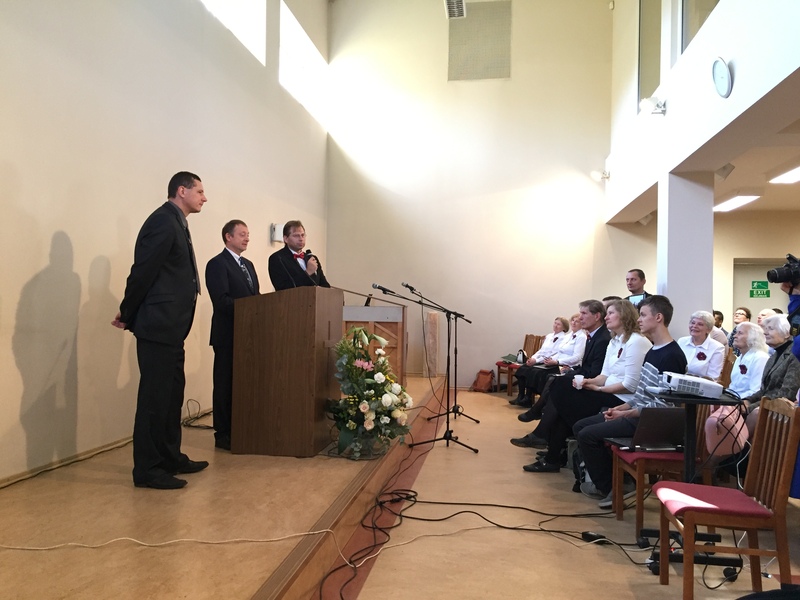 He will replace pastor Bertold Hibner who served as the Lithuanian Mission Field president since 2005 and later on from 2013 as the Lithuanian Conference president. A new conference secretary was chosen — Algimantas Jankevičius. He will replace the outgoing secretary Jurgita Kregždaite. Also a new treasurer was elected — Natalija Daugėlienė. She will replace outgoing treasurer pastor Deividas Vanagas. 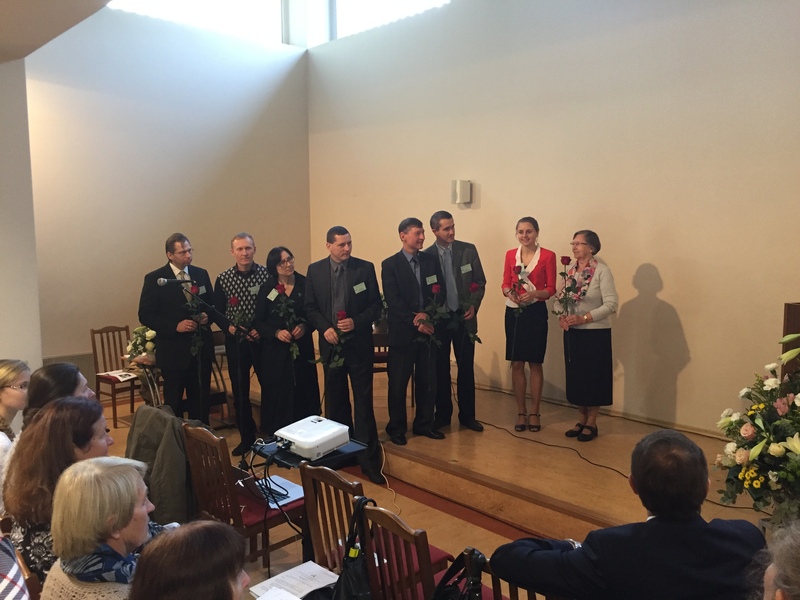 Constituency elected all Lithuanian Conference Executive Committee members: pastor Deividas Vanagas, pastor Virginijus Radžius (who will be responsible also for the Youth department), and two lay members — Eglė Miliūnienė and Nijolė Bareikienė. Pastor Gintaras Nekis will be responsible also for the Health department. Election of other departmental directors was entrusted to the newly elected Executive Committee. Each day was started with the word of God. Executive secretary of the Baltic Union Conference Guntis Bukalders preached on the constituency theme of Revelation 14:6 about worshiping Creator. “Acceptable worship to God starts with doing justice, love of mercy and humbleness,” he said. (Micha 6:8). 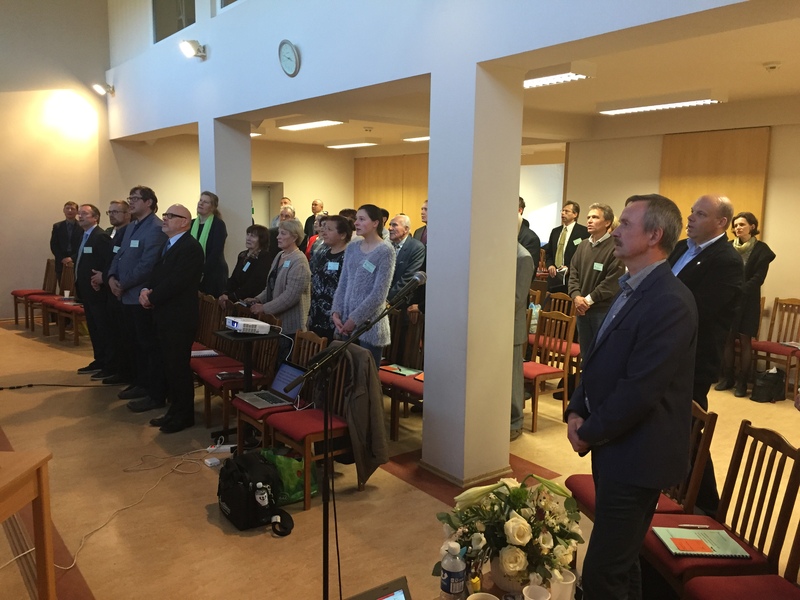 Next morning the president of the Estonian Conference pastor Ivo Käsk shared the invitation to grow more and more dependent on God, against human tendency to become self-confident as our experience and knowledge increases. 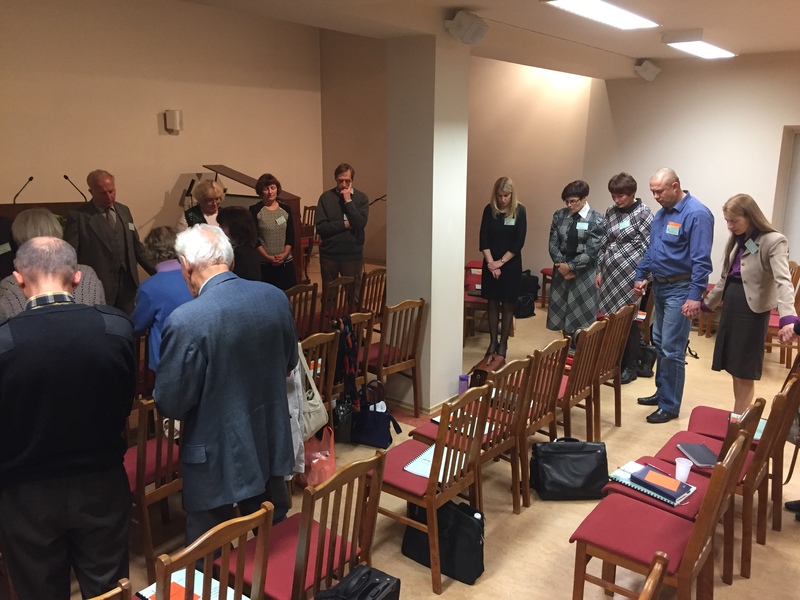 In the evening the president of the Latvian Conference pastor Vilnis Latgalis focused delegates’ attention to look at Jesus as the author and finisher of our faith (Hebrew 12:2–3). Saturday worship service opened with a beautiful choir music. New administration and the Executive Committee members were presented before the delegates and local church members and many guests. BAUC president David Nõmmik preached on the theme of the constituency meeting, emphasising the essence of true worship which is focused on what God has done. He pointed that worship is the celebration of redeemed people and expanded this idea showing the meaning of having “the mind of Christ” and its connection to the first angel’s message “fear God and give Him glory”. We are invited to reflect the unparalleled radiance and beauty of God’s character in our daily life. At the closing of the worship service all church stood up and prayed for the newly elected leaders, entrusting their ministry into God’s hands. This entry was posted in Anniversaries & Special Events, Church Organisation, Lithuania, News. Bookmark the permalink.